Whether looking for a vehicle you can take on a fun off-road adventure or one for a family day out near Bayside, Major World Chrysler Dodge Jeep Ram is your Jeep Long Island dealer. View our Jeep inventory from the fan favorite Jeep Wrangler, family-oriented Grand Cherokee, to the sleek modern design of the Jeep Compass. 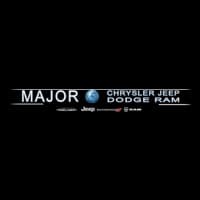 Just a short drive from Eastchester, Major CDJR offers a wide range of new vehicles. If you need help making a decision on which Jeep to choose, let our comparisons help you decide. From comparing the Jeep Compass vs the Jeep Patriot, to the Grand Cherokee vs the Toyota Sequoia, we have all the details covered. View our vehicle specials and contact us today to schedule a test drive.